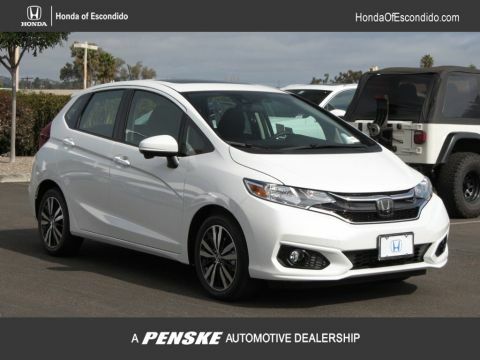 The Military Appreciation Offer can be used toward the purchase or lease of any new 2018 or newer Honda automobile Honda (excludes Honda Clarity) when financed or leased through HFS (excludes Zero Due at Signing Lease program). To be eligible for this offer, you must meet certain credit criteria established by HFS, and the vehicle must be eligible for new-vehicle rates. Client Eligibility: - Active Duty U.S. Military, (Army, Navy, Air Force, Marines, National Guard, Coast Guard and Active Reserve) and their spouses. - Active Duty U.S. Military Ready Reserve, (Inactive National Guard, Individual Ready Reserve, Selected Reserve) and their spouses. - U.S. Military Veterans who are within 180 days of separation from active service, and their spouses. - U.S. Military Retirees (Army, Navy, Air Force, Marines, National Guard, Coast Guard and Active Reserve). - Spouses of U.S. Military Retirees (Army, Navy, Air Force, Marines, National Guard, Coast Guard and Active Reserve) who are within 180 days of separation from active service. Eligible customers must meet the following conditions at the time of purchase: - Provide Leave and Earnings Statement (LES) as proof of military status or active service at the time of purchase or lease. - Spouses of a member of the U.S. Military must provide proof of relationship by presenting a Military ID, and provide spouse' LES. Only a copy of the LES will be retained by the dealership for verification. - Receive credit approval through Honda Financial Services. - This offer must be redeemed towards capitalized cost reduction or down payment assistance. $255.37 per month for 24 months. $1,351.84 due at lease signing. Excludes registration, tax, title and license. Special Lease Rates for qualified lessees based on credit tier. $236.00 per month for 27 months. $1,391.60 due at lease signing. Excludes registration, tax, title and license. $225.54 per month for 30 months. $1,471.12 due at lease signing. Excludes registration, tax, title and license. $216.89 per month for 33 months. $1,550.64 due at lease signing. Excludes registration, tax, title and license. $209.61 per month for 36 months. $1,630.16 due at lease signing. Excludes registration, tax, title and license.